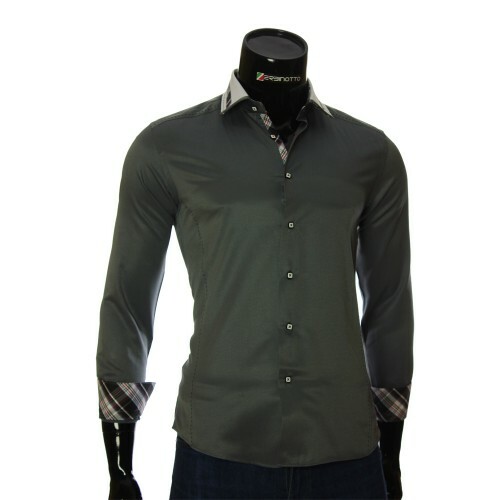 Slim Fit Shirts There are 245 products. Fashion, like much more, changes with stable consistency. 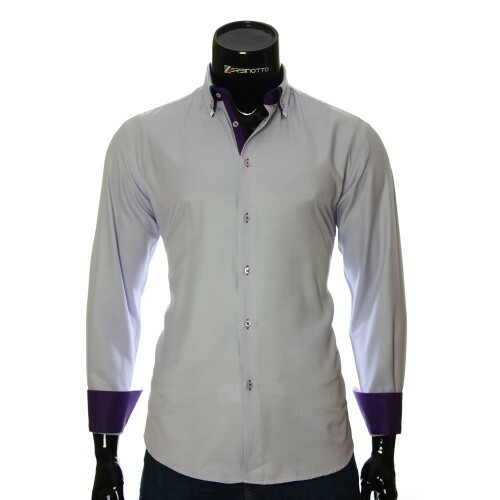 And in place of the classic shirt came a Slim fit shirt. 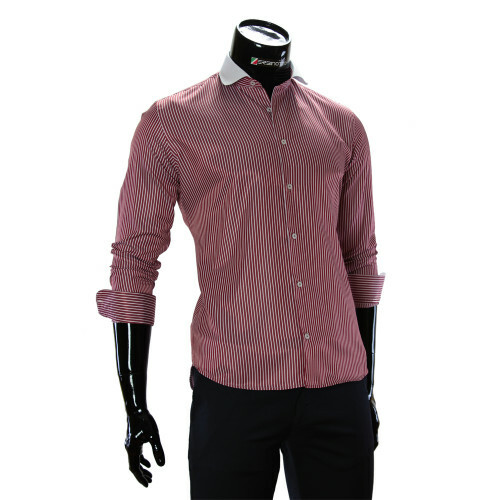 Recently, Slim fit shirts have become very popular not only among young people. 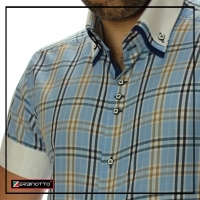 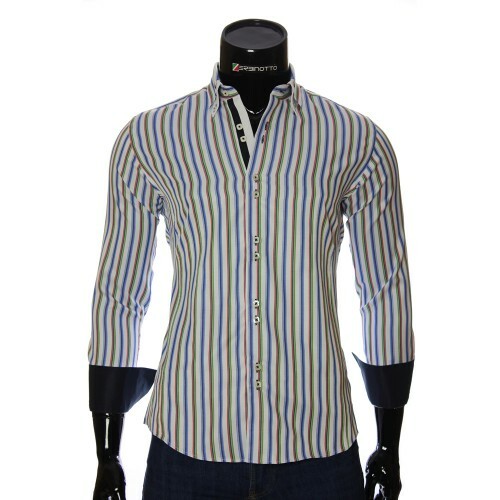 Held men in their age just do not lag behind the fashion novelties and are happy to buy themselves fitted men's shirts. 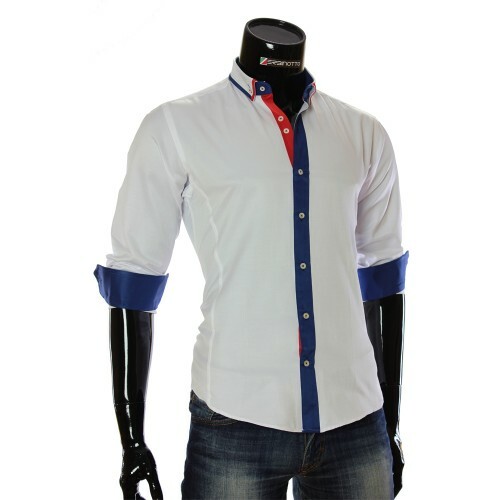 Slender silhouette, emphasizing the figure, narrow sleeves, unusual color solutions, modern and bold details such as double collar, very fashionable this season. 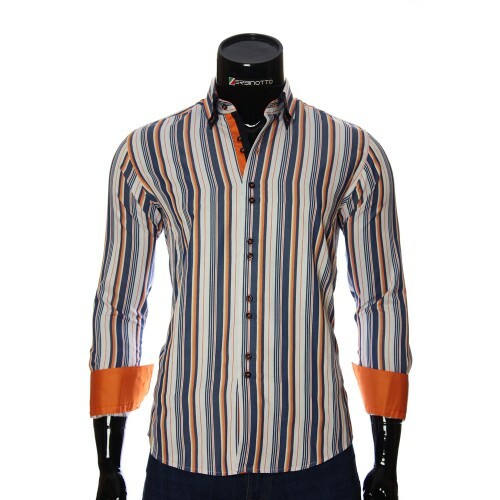 This and more attract modern man and gives the opportunity to buy a men's shirt and experiment on his own way. In the wardrobe of every modern young man there is at least one Slim fit shirt. And not in vain! 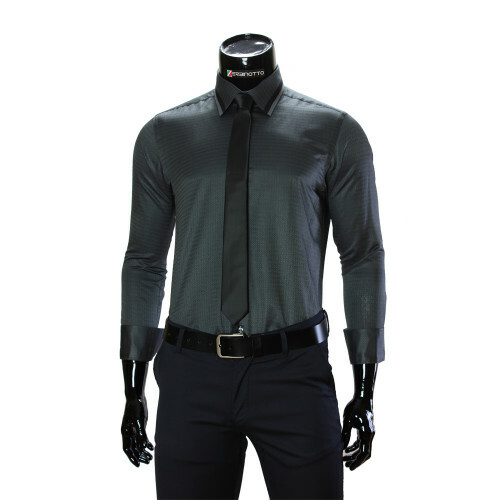 After all, a men's Slim fit shirt is so versatile that it can be worn either separately or in combination with a waistcoat or jacket, under classic trousers or jeans. Moreover, men's Slim fit shirts, as well as shirts with a double collar, perfectly match with absolutely any pants and jeans. 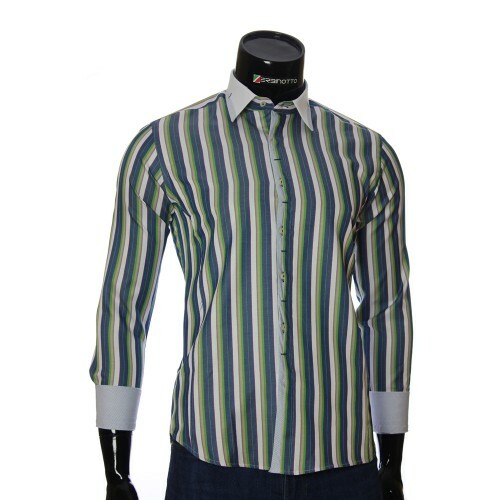 And with classic shorts and the steeper - trendy and modern. 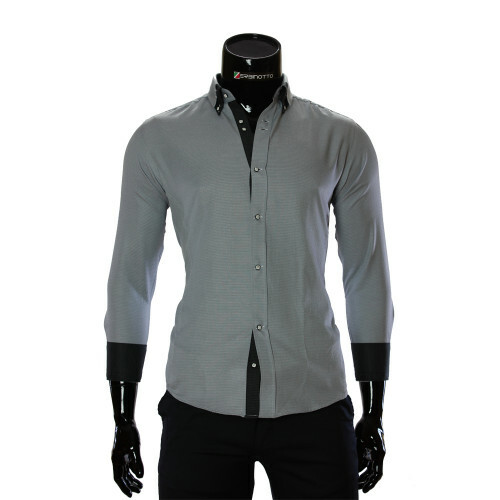 Unlike the free cut of the classic men's shirt, the Slim fit shirt perfectly accentuates the figure, adds slenderness and looks more neat. Is it necessary to tuck in a Slim fit men's shirt? It's a matter of taste, your mood and personal image. 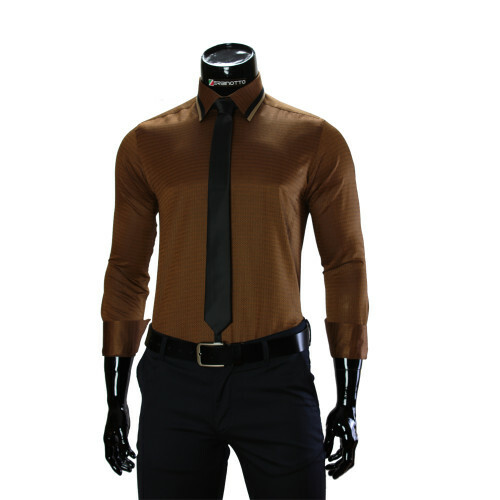 Stylish men's Slim fit shirt can be complemented with beautiful accessories - a narrow tie, neck scarf, cuff links. single-colored, striped, caged, combined. When choosing a Slim fit shirt, the main thing is to choose the right color for the corresponding event. 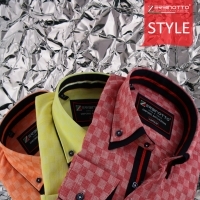 So, for example, for an office it's better to choose shirts of pastel shades. 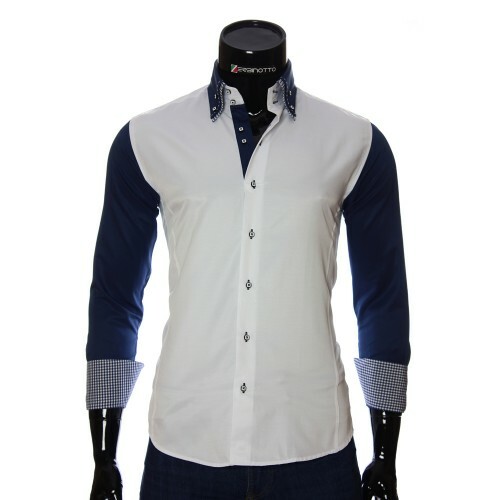 For solemn occasions or formal receptions, a shirt of such fashionable colors as ivory, champagne, milk or cream is ideal. If you are looking for an original and stylish Slim fit shirt, then give preference to bright colors: purple, green, burgundy, blue, red. 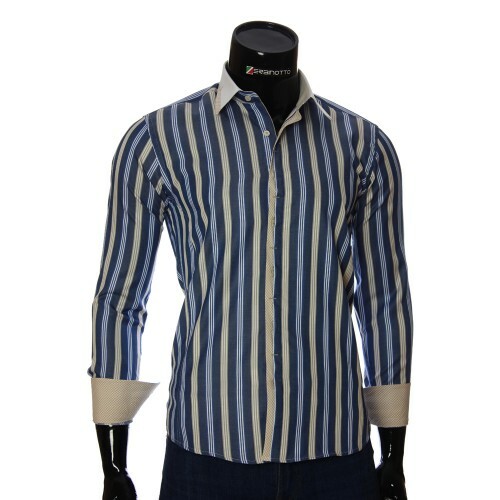 And do not be afraid to experiment with the cage and strip! 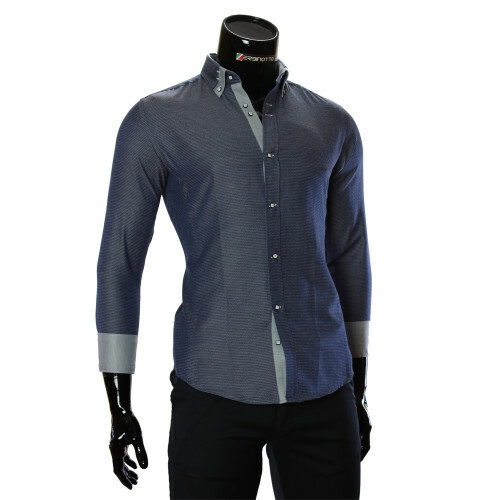 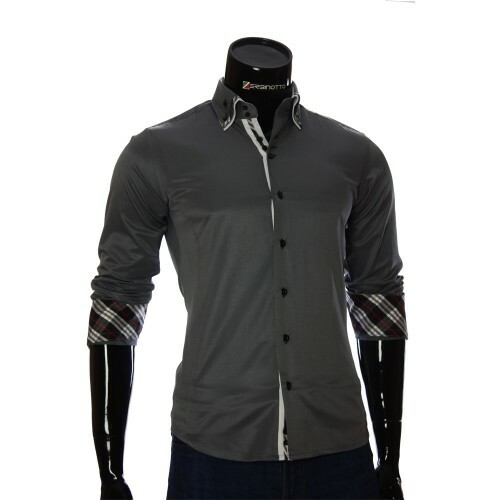 If you are looking for a really fashionable men's Slim fit shirt, then our online store of stylish clothes will surprise you not only with the variety of assorted shirts, but also with the prices for them. Men's shirts of a Slim fit cut have practically superseded men's classic shirts from the top of the first shirt. Due to fashion trends, the preferences of men look more stylish, emphasizing their stagnancy, and also due to many other reasons that everyone has absolutely individual and different. 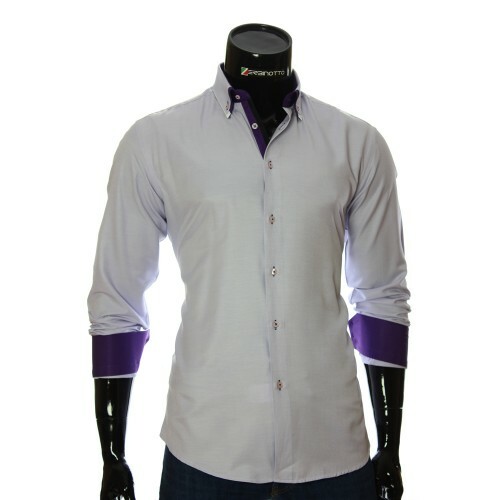 Thanks to that, in fact, the fitted men's shirt became the leader among all the other men's shirts? The answer is simple - the Slim fit shirt is universal. 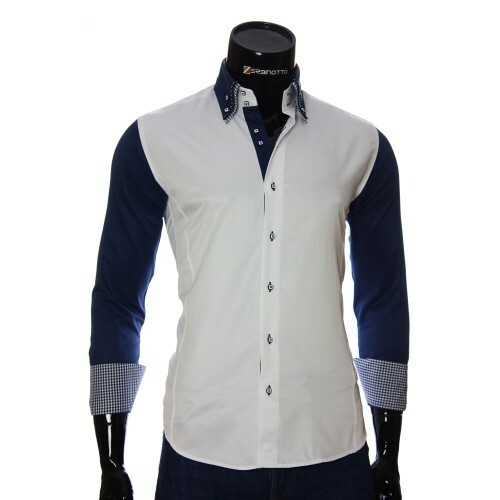 If the classic shirt obliged men to wear classical suits and hide the baggy silhouette under the jacket, then in the case of a Slim fit men's shirt it is an exclusive factor. 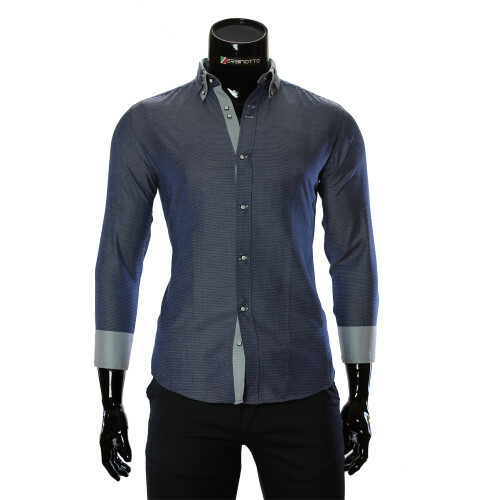 Thanks to the Slim fit cut, the shirt emphasizes a slender silhouette, creating a neat exterior image. Consequently, the Slim fit shirt perfectly matches with different trousers, suits, jeans. In addition, a Slim fit shirt can be worn and released and tucked into pants, and a classic shirt is worn only tucked. 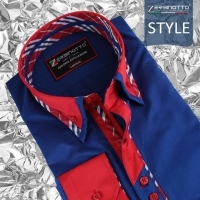 The online store (Ukraine) Zerbinotto™ works out and delivers the goods throughout the country. Residents of any cities can easily visit our online store (Kharkov, Kiev, Odessa, the Dnieper and other cities). 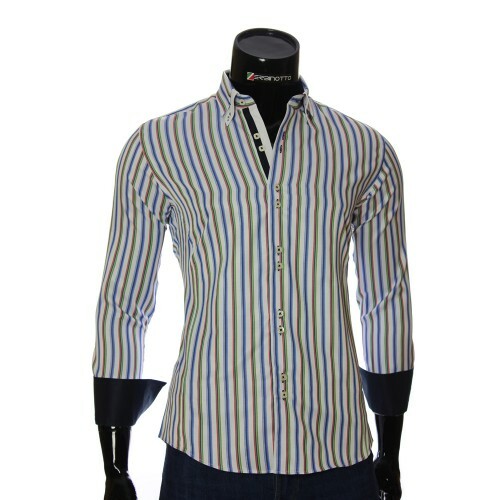 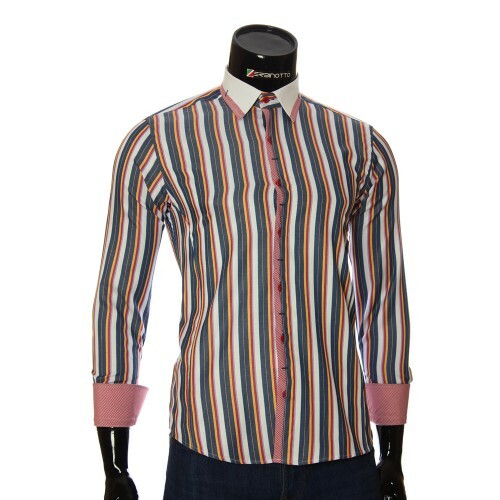 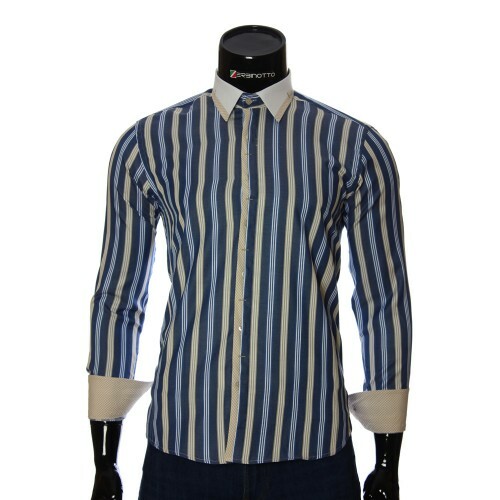 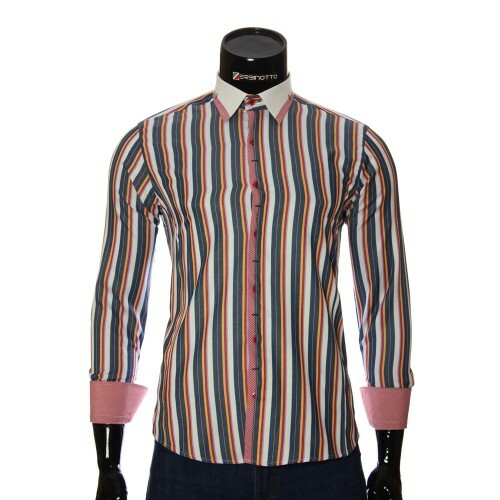 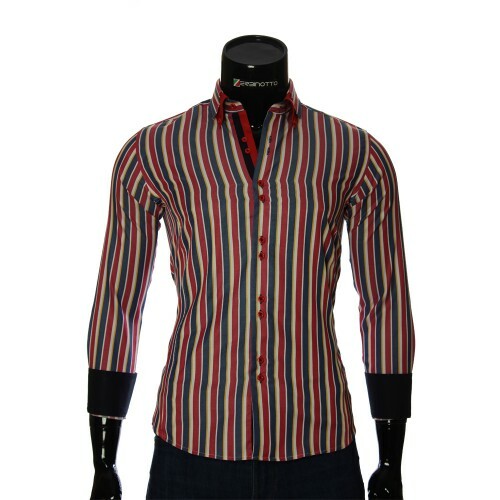 If you are interested in men's shirts (Russia), fitted, stylish and exclusive for an active daily life? All this you can buy right now from any city (Moscow, St. Petersburg, Novosibirsk, Yekaterinburg, Nizhny Novgorod, Samara, Rostov-on-Don, Kazan, Chelyabinsk, Omsk), and at the same time save a lot of time! 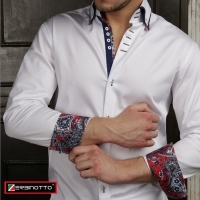 With great pleasure, Zerbinotto ™ online store will help you avoid having to visit many shops and boutiques. 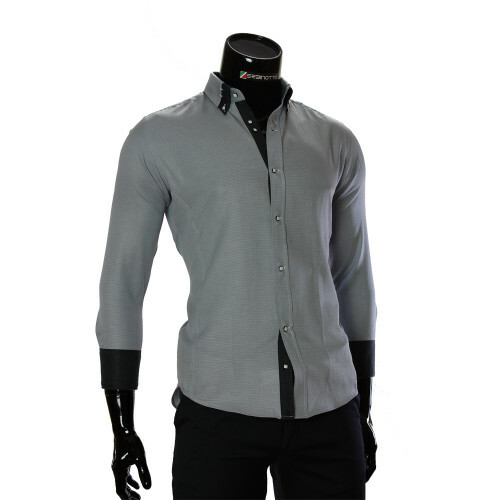 You can order any fitted shirt without getting up from your chair, and we will deliver the purchase on time to the specified address using courier service. 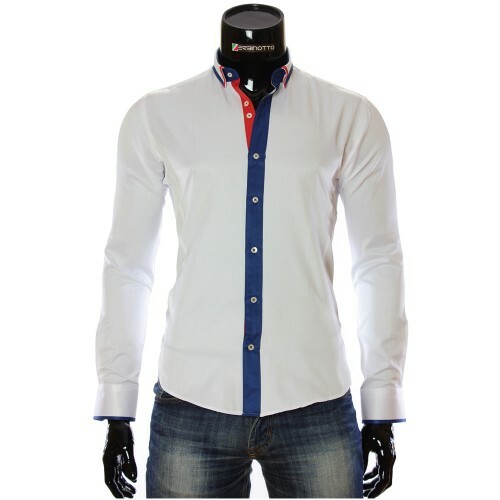 In addition, the Zerbinotto ™ brand (Kazakhstan) delivers its goods, namely shirts throughout the country. 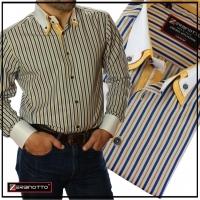 You can order shirts from any city of Kazakhstan (Aktau, Aktobe, Atyrau, Karaganda, Kokshetau, Kostanay, Kyzylorda, Pavlodar, Petropavlovsk, Taldykorgan, Taraz, Turkestan, Uralsk, Ust-Kamenogorsk, Almaty, Astana, Shymkent, Almaty and other cities). Delivery of goods takes only a few days, and ordering goods in the amount of 1500 UAH. or $50, we will deliver your order completely free of charge.